Jeanne Lehman said that Air Canada kicked her off a flight even after she told them she wasn’t contagious. 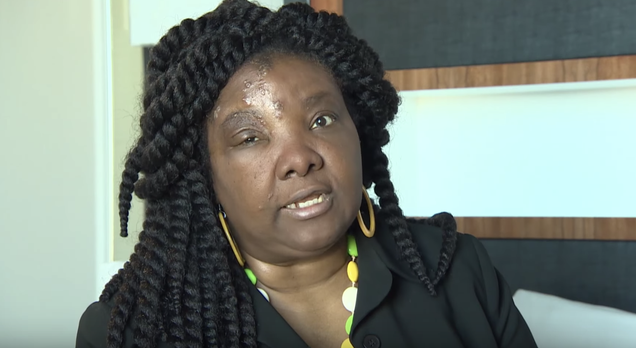 A black woman from Edmonton, Canada, says that she was treated like an animal and removed from an Air Canada flight from Halifax because they thought she had a contagious disease. But according to Jeanne Lehman, after she received medication for the shingles she’d been diagnosed with days before, her doctor said she wasn’t contagious. Lehman was diagnosed with shingles April 19, and even though she was on medication, when her flight came on April 22, her rash wasn’t healed and her eyes were swollen. Lehman said she asked the flight attendant for a window seat, and that’s when things went downhill. Lehman said that no one would talk to her or listen to her try to explain that she wasn’t contagious. Eventually the flight was canceled and everyone was rebooked and put up in a hotel for the night. The next day, Lehman went back to the original doctor who diagnosed her, and received a note saying that she was not contagious and was cleared to fly. Lehman says that race played a role in the way she was treated and it’s a case of systemic racism. But the issues didn’t stop there. After she was cleared to fly and given an upgrade by Air Canada and a hotel room, the next day she experienced the same issue during a layover in Toronto. She had problems while trying to board the flight, even though her clearance was readily available. And once again she had to show them proof. In a statement to CBC, Air Canada said that its passengers’ health and safety is the airline’s priority. Lehman says that she’s never received an apology from the airline for the treatment she received, and says that people need to address the fact that systemic racism plays a role in how black people are treated on a daily basis.